LANCIA Y10 1.0 Fire, 1.0 fuego 4WD. del pistón conjunto. 4CYL. 08-154200-00. LANCIA Y10. FIAT UNO MK2. FIAT PANDA. ENGINE PISTON. GENUINE FIAT PART. are suitable for their cars. 1.0L D.A.V. & CARB. to confirm fit. LANCIA Y (840A). 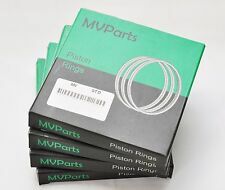 IF YOU NEED OVERSIZE RINGS. THE PRICE IS FOR 4 CYLINDERS. ENGINE CODE. Layout - 1.19 mm x 1.20 mm x 2.50 mm. BORE - 71.20 ( 0.40). LANCIA Y10 1.0 Fire, 1.0 fuego 4WD. del pistón conjunto. 4CYL. 1400700100. PISTÓN PISTÓN CON BANDAS Y FIAT 132 PIN - LANZA ORIGINAL BETA 5880750. Fiat original: 5880750 - 4359982 - 4359786 - 4359973 - 4359974 - 5880749 - 5880748 - 4359979 - 4359980. MPN 5880750. Codice ricambio originale OE/OEM 5880750, 4359982, 4359786, 4359973, 4359974. PISTÓN PISTÓN CON BANDAS Y FIAT 132 PIN - LANZA ORIGINAL BETA 5880748. Fiat original: 5880748 - 4359786 - 4359973 - 4359974 - 4359979 - 4359980 - 4359982 - 5880749 - 5880750. Codice ricambio originale OE/OEM 5880748, 4359786, 4359982, 4359973, 5880750. 7778140 EX 46411495. PUNTERIA IDRAULICA VALVOLE. - BRAVO BRAVA MAREA DAL 1995 AL 2002. FIAT - LANCIA MOTORI 1.400 12 V - 1370 CC 75 CV -80 CV - 182A5000- 182A3000- 840A2000 - 840A4000. - Y DAL 1996 AL 2003. FIAT - 1M BRAVA G.98 BZ/DS (1998-2001). FIAT - 1Q MAREA BZ GAMMA'99 (1999-2002). FIAT - 1L BRAVO G.98 BZ/DS (1998-2001). LANCIA - SU Y (1995-2000). 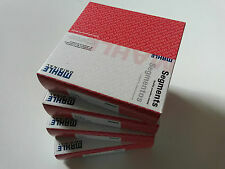 Kolben Set Übermaß 0,60mm NEU für Fiat Lancia Opel Suzuki Ford 1.3 D. 4 Kolben ( 0,60mm). FIAT FIORINO Kasten/Kombi (225_) 1.3 D Multijet Kasten/Kombi 11.07 55 75 1248 4136-AKA. FIAT FIORINO Kasten/Kombi (225_) 1.3 D Multijet Kasten/Kombi 11.07 55 75 1248 4136-AOU. 43003 76 0,4 76,4 1,5X2X3,97 SP5050 SP5337. DAL 1985 AL 1989 - Y10 GT I.E. DAL 1989 - Y10 TOURING 201AA 1049 CC DAL 1985 AL 1989. - BETA 1.300 131BC7A0 DAL 1974 AL 1978 828B3/AC3 78 CV 1297 CC. - Y 10 TURBO 1050 CC - 1300 CC. Cylinder Bore [mm]: - 70,00. Machined: - with cut-out for oil jet. If the item is used, we are unable to accept the goods back. MAINLAND -24 HRS. (incl: NORWAY & SWITZERLAND). Recess Depth 1 [mm]: - 12,400. 1x GOETZE ENGINE CR1-126600 Kolbenring. 1x GOETZE ENGINE CR2-126600 Kolbenring. 1x GOETZE ENGINE CR3-126600 Kolbenring. GOETZE ENGINE 08-126600-00. FIAT ULYSSE (220_) 2.1 TD. 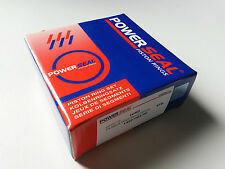 PEUGEOT 406 (8B) 2.1 TD 12V. Fabricante de piezas:GOETZE 0814230000. PIEZAS AUTOMOTRICES DE ALTA CALIDAD. Busques lo que busques, tenemos la solución perfecta. LANCIA Y10 (156_) LIFTBACK 1.1 FIRE (156AG) 54 CV 176 B2.000 1995.01-1995.12. Cylinder Bore [mm]: - 70,4. If the item is used, we are unable to accept the goods back. MAINLAND -24 HRS. (incl: NORWAY & SWITZERLAND). Production Number: - 70 L 94. Bolt length [mm]: - 53,0. We always will do the best for both sides to be happy! KOLBENSCHMIDT 800056210040. 1x KOLBENSCHMIDT 63512 Kolbenring. 1x KOLBENSCHMIDT 63513 Kolbenring. 1x KOLBENSCHMIDT 63559 Kolbenring. OPEL AGILA (A) (H00) 1.3 CDTI. OPEL AGILA (B) (H08) 1.3 CDTI. VAUXHALL AGILA Mk II (B) 1.3 CDTI. The faster, safer way to send money. LANCIA Y (840_) HATCHBACK 1.2 16V (840AG1A) 80 HP 188 A5.000 2000.10-2003.09. FIAT STILO (192_) HATCHBACK 1.2 16V (192_XA1B) 80 HP 188 A5.000 2002.02-2006.11. FIAT SIENA (178_) / ALBEA SALOON 1.2 80 HP 188 A5.000 2001.09-2009.12. Recess Depth 1 [mm]: 5.100. IN DOUBT WHETHER IT WILL FIT?. 14,000 positive. MAINLAND -24 HRS. (incl: NORWAY & SWITZERLAND). Standard Size [STD] FIAT PALIO WEEKEND (178DX) 1.2. If the item is used, we are unable to accept the goods back. 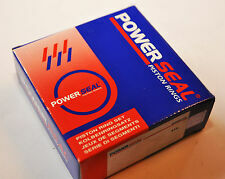 Fabricante de piezas:MAHLE 009 36 01. Busques lo que busques, tenemos la solución perfecta. LANCIA Y10 (156_) LIFTBACK 1.1 FIRE (156AG) 54 CV 176 B2.000 1995.01-1995.12. LANCIA Y10 (156_) LIFTBACK 1.1 FIRE NAPęD NA 4 KOłA (156AG) 54 CV 176 B2.000 1995.01-1995.12. 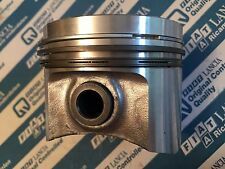 PISTON FIAT 1,2 i. Fiat 176 7.000, 8.000 176, 176 B - 4.000, 178 B - 5.000. ¡Habilidades de motor por más de 70 años - también para ti! Lancia 840A 3.000. Fabricante: pistón-Schmidt / Mahle (sujeto a disponibilidad). PIEZAS AUTOMOTRICES DE ALTA CALIDAD. Busques lo que busques, tenemos la solución perfecta. ZASTAVA 10 (188) LIFTBACK 1.2 60 60 CV 188 A4.000 2005.10-. LANCIA Y (840_) LIFTBACK 1.2 16V (840AG1A) 80 CV 188 A5.000 2000.10-2003.09. Fabricante de piezas:MAHLE 009 36 00. Busques lo que busques, tenemos la solución perfecta. LANCIA Y10 (156_) LIFTBACK 1.1 FIRE (156AG) 54 CV 176 B2.000 1995.01-1995.12. LANCIA Y10 (156_) LIFTBACK 1.1 FIRE NAPęD NA 4 KOłA (156AG) 54 CV 176 B2.000 1995.01-1995.12. Busques lo que busques, tenemos la solución perfecta. LANCIA Y (840_) LIFTBACK 1.2 16V (840AG1A) 80 CV 188 A5.000 2000.10-2003.09. FIAT STILO (192_) LIFTBACK 1.2 16V (192_XA1B) 80 CV 188 A5.000 2002.02-2006.11. Fabricante de piezas:GOETZE 0878700000. PIEZAS AUTOMOTRICES DE ALTA CALIDAD. Busques lo que busques, tenemos la solución perfecta. LANCIA Y (840_) LIFTBACK 1.4 12V (840AB) 80 CV 840 A2.000 1996.10-2003.09.